« What does the end of the Paris deal mean for agricultural innovation? Bees, beetles and butterflies are in big trouble. Pollinators all over the world are experiencing dramatic declines in populations, with about 40 percent of all invertebrate pollinator species facing a very real threat of extinction. Just last October, several species of bees were added to the U.S. Endangered Species List for the first time. Monarch butterfly populations also face the potential threat of a future listing, with populations down by more than 90 percent in recent decades. These stats are concerning because pollinator health is a strong indicator of an ecosystem’s overall health. Pollinator decline directly correlates with habitat loss, decreased plant diversity, and increased disease in the ecosystem. This problem cannot be solved by any one sector. Restoration of pollinator habitats will require significant investment and collaboration between both public and private sectors – especially businesses with bottom lines directly tied to pollinator success. Pollinator declines will have significant direct and indirect impacts on companies’ business models – particularly in the food and agriculture sectors, which depend heavily on pollinators to grow fruits, vegetables and nuts. The current estimated economic impact of continued pollinator decline is approximately $186 billion. Restoring pollinator populations to healthy levels will help avoid these economic losses and even create gains through increased yields for farmers and higher quality crops – translating to good business for companies that rely on these products. more opportunities for the public to enjoy nature and wildlife. We have entered a new age of corporate social responsibility in which consumers are holding companies accountable for being good stewards. More than ever, businesses have the potential to set themselves and their products apart by being “better.” That includes being better to pollinators. For example, The Xerces Society created the Bee Better Certified program, which allows farmers and the companies that buy their produce to indicate responsible habitat management and pesticide stewardship to consumers. Whole Foods Market adopted an earlier version of the program, called Responsibly Grown, which identifies “good, better, best” pollinator-friendly products. Other big names like General Mills, Häagen-Dazs and White Wave are working on their supply farms to create pollinator habitat. This sort of company involvement in all stages of a product’s life cycle is critically important for sustaining long-term business models. Companies cannot thrive without a strong supply chain, which ultimately starts with a healthy ecosystem. Corporate investment in pollinator health is vitally important – but only if those dollars provide the best bang for the buck and for the bees. 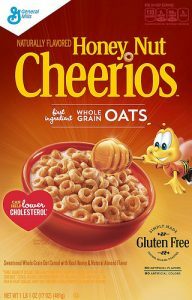 Cheerios’ attempt to bring awareness to the plight of pollinators backfired when some of the wildflower species handed out in seed mix packets actually turned out to be invasive species that could destroy native populations, spread diseases and cause severe damage. When companies of this size invest big dollars in national pollinator campaigns, they have to get it right. Consumers count on it and, in this case, their mascot’s life depends on it. 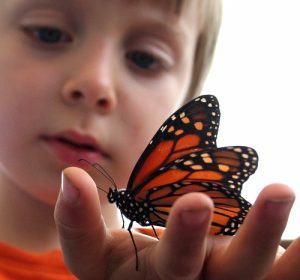 To be impactful on a large scale, companies should be investing in programs like the Monarch Butterfly Habitat Exchange, which specializes in monarch recovery by combining the strongest science tools with a market-based framework to bring sustainable solutions to scale. Even better, the exchange model is focused on unleashing the untapped reservoir of pollinator habitat on America’s farms and ranches – bringing conservation solutions, and money, to the very core of the supply chain. Therefore, when a company invests in creating habitat through the exchange, it’s also investing in its key suppliers. The Monarch Butterfly Habitat Exchange is coming online this summer, with opportunities for private companies to invest in pollinator habitat. In the future, we plan to expand or replicate the program for a host of other pollinators. With a commitment to science, innovation and sustainability, in addition to smart investment decisions, the private sector can turn the current pollinator emergency into a big opportunity. This entry was posted in ecosystems, Habitat Exchange, Supply Chain, Wildlife Protection and tagged cheerios, monarch butterfly, national pollinator week. environmental defense fund, pollinators, rusty patched bumblebee, U.S. Fish and Wildlife Service, whole foods, Xerces Society. Bookmark the permalink. Both comments and trackbacks are currently closed. Thanks for mentioning Bee Better Certified. Whole Foods Market, however, wasn’t involved in developing the program. It was developed by the Xerces Society, in partnership with Oregon Tilth and with the support of a Conservation Innovation Grant from the USDA’s Natural Resources Conservation Service. More about the partnership behind Bee Better Certified can be read at http://xerces.org/2017/06/19/bee-better-certified-launch/. Any farmers interested in the program can find information at http://beebettercertified.org/. Thank you, Matthew! An important distinction. We have updated this on the blog and have included the link. Thank you for reaching out so that we could make the correction. And thank you for your work!